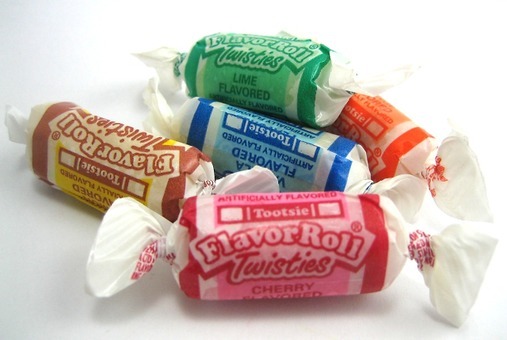 Recently I acquired a bag of the flavored Tootsie Rolls. I love the original chocolate (who doesn’t), but sometimes it’s nice to change it up and add some goddamn sweetness baby! It was a real treat having not indulged in flavored tootsie rolls in years probably. My thoughts now are the same as they’ve always been, so I took my opinion to the Twitter. People weren’t pleased. I said what I said, and I stand by it. I’ll die on this hill. The Vanilla ones (blue wrapper FYI) are the worse ones by far. It’s no contest, and I am confident in saying that. 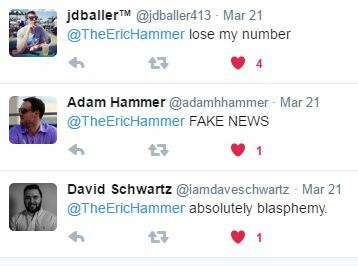 The haters were very vocal about their displeasure with my rankings. But what they’re forgetting is that the rankings are MY rankings. I don’t see anyone else sticking their neck out in the social media guillotine for public beheading. You wanna yell at me through your keyboard? Put your money where your mouth is. When something’s on my mind, I put it on Twitter for the world (aka a small portion of my ~750 followers) to absorb. I’m not afraid to speak my mind similar to how everyone else has no fear of critiquing my ranks. If I had to rank the others it would probably be 1. Lemon 2. Cherry 3. Orange 4. Lime. But the point is that those 4 are on the A-team and the Vanilla is DEAD LAST. It should be in a different bag entirely. Real talk.